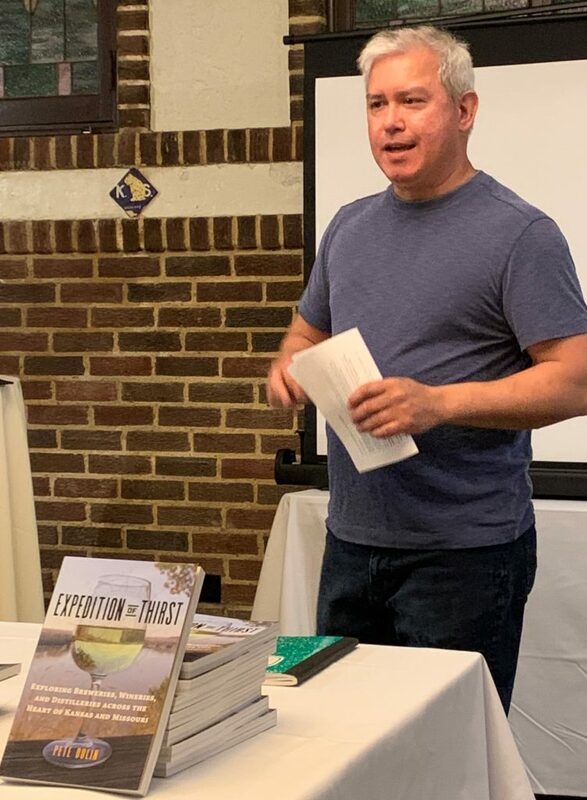 Pete Dulin got some teasing about the research he conducted in eastern Kansas and western Missouri for his new book Expedition of Thirst. He does admit it was a real pleasure to work on his travel guide focused on regional breweries and wineries. 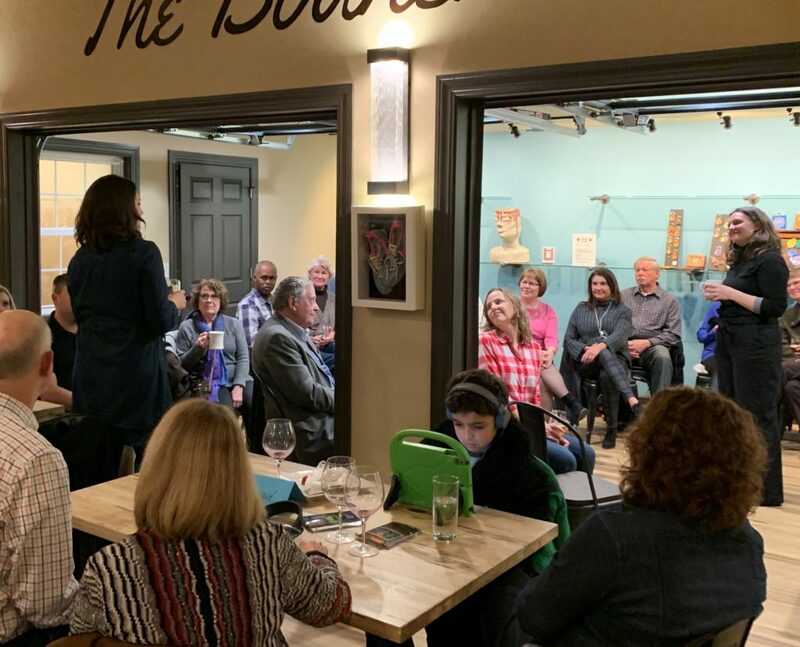 On April 1, 2019, Kansas law changed to allow grocery and convenience stores to sell strong beer. The new law lifted a restriction that dated from the time of Prohibition, according to Dulin. 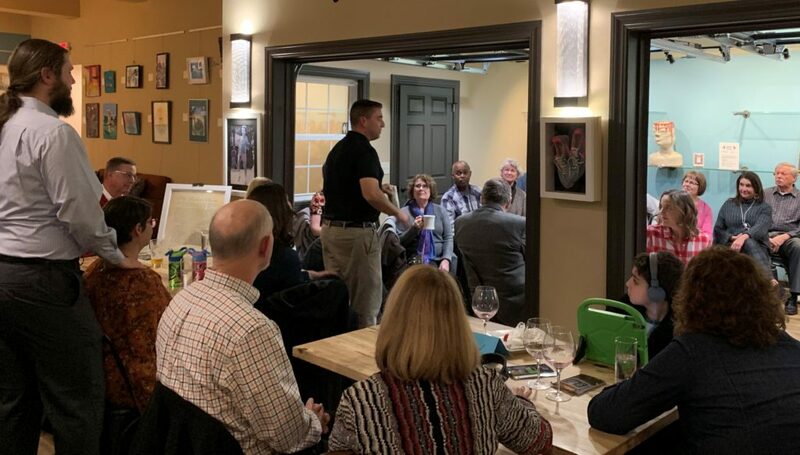 Dulin went on to explain that in the 1880’s, before Prohibition, Kansas was the number one producter of beer and wine in the United States. Then, ironically, forty years prior to federal Prohibition, Kansas became the first state to enact a statewide rule against alcohol. Today, craft beer has rebounded to have a $480 million impact in the Kansas economy, ranking the state 43rd in the production of craft beer in United States according to the Brewers Association 2017 statistics. Still, Missouri craft beer production is six time that of Kansas and generates twice the revenue. Many small breweries start as a “food pub,” brewing beer to serve with food for local customers. Those breweries may sell their beers from the taproom, but to expand their distribution, they must find a distributor to reach retailers as required by state law. According to Dr. Matthew Stein, the current health care debate can be framed as the tension between opportunity and equity in American values. On one hand, health care can be understood as a privilege that one must earn and purchase as an individual–an opportunity. On the other hand, health care is a basic requirement for a life of liberty as a part of the social contract that Americans share as a part of the common welfare–a question of equity. Dr. Stein, a retired physician, is a student of the history of health care and health insurance. 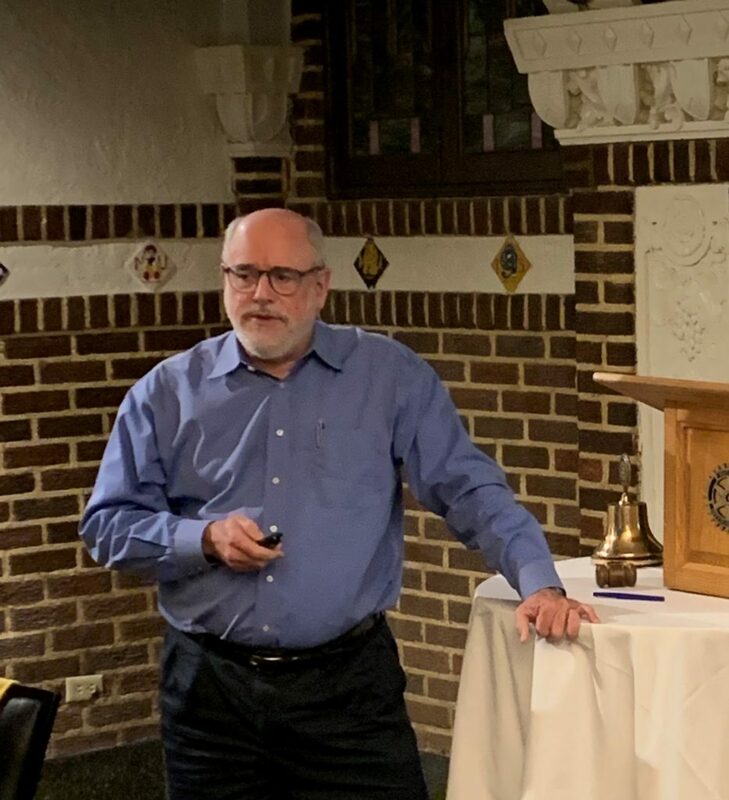 With that background, he explained the evolution of health care models in America and defined various types of health insurance. His comments clarified terms in the current debate on health care. In his presentation, Stein referenced an article published in The Commonwealth Fund by Sara R. Collins. Collins provides a tool to compare the range of health care reform ideas currently under consideration in Congress. 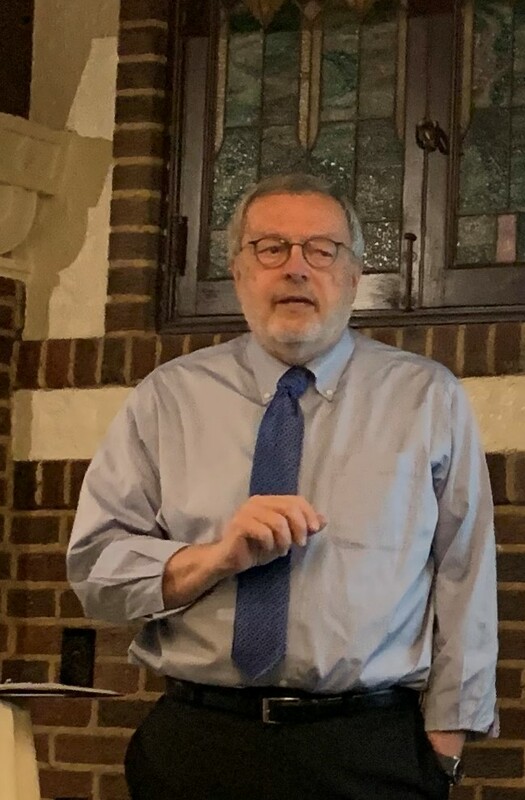 Retired from his oncology practice at LMH, Stein has taught seminars on the history of health care and related topics at KU for a number of years. 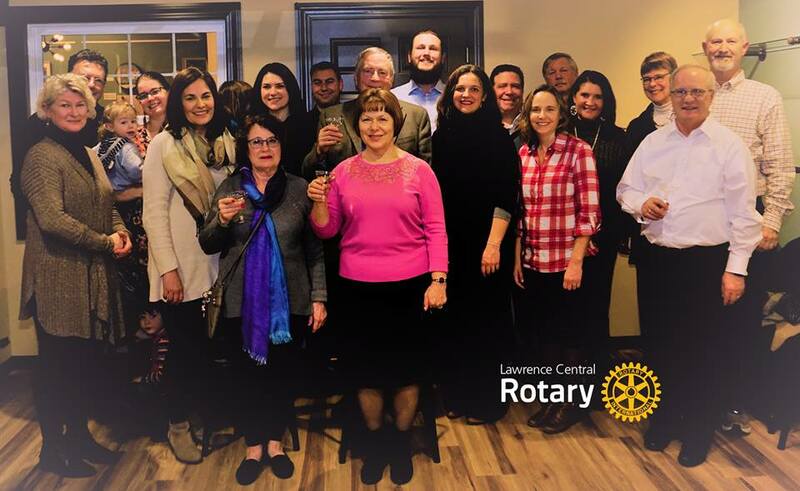 Members of Lawrence Central Rotary gathered with spouses, children, and other guests at S&S Artisan Pub and Coffeehouse to celebrate the club’s birthday. Established in March 2003, the club currently has 38 members. President Audrey Coleman presented the Becky Castro Award for Community Service to Kate Campbell during the program. 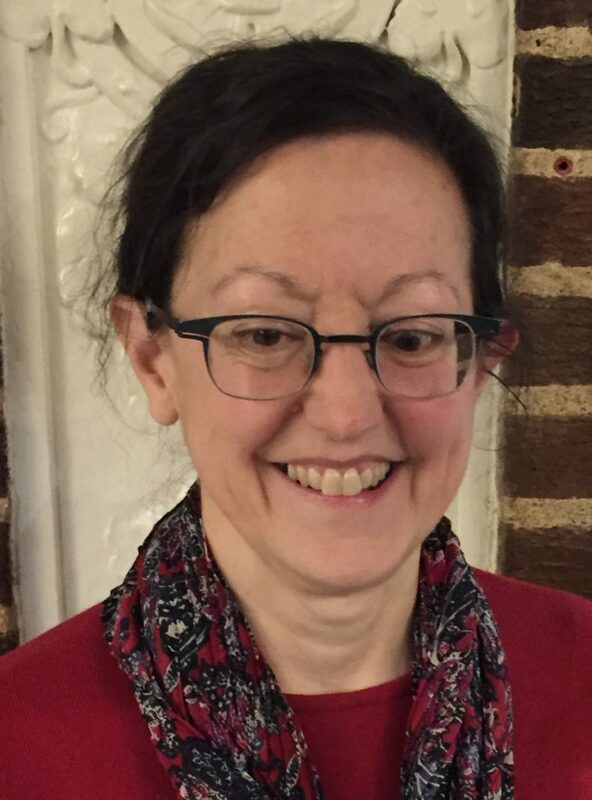 Lorie Vanchena is proud to work in the Max Kade Center for German-American Studies at KU. A faculty member in the Department of Germanic Languages and Literatures, she also an enthusiastic spokesperson. The original purpose of all Max Kade centers was to foster the study of German-speaking immigrants from Europe and their contributions to America. In recent years, the scope has widened to include the study of the influence of Germans in America more broadly and the impact that their presence had. The Max Kade Center at KU flourishes through collaboration. The German Department promotes teaching, research, and programs about migration from German-speaking Europe to American. It supports KU international inititiaves for exchange and engagement. There is also a close working relationship with Spencer Research Library on campus and its archives. Although there are many books at the Max Kade Center, it is not a library. Books are transferred to the Spencer where they can be catalogued and preserved. The German Department and the Center also collaborate with the Watkins Museum of History. 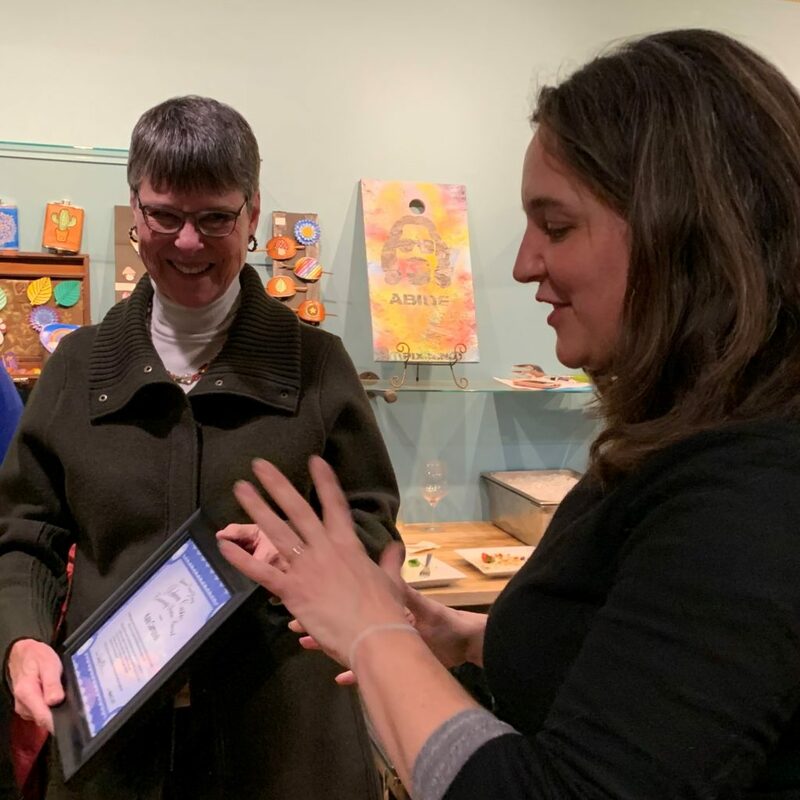 In 2017, they lent artifacts and expertise to create an exhibit and related events about the Turnverein association in Lawrence and the Turnhalle that they built in east Lawrence. In another collaborative effort, Watkins Museum Director Steve Nowak is teaching a class in museum collections management in the Max Kade Center space. The students in the course are creating a structure for the collections in the Max Kade Center, labeling shelves, and developing a risk management plan.